Massive number of features: Paging, Sorting, Filtering, Validation, Ajax data, Files data, RESTful, flexible CRUD, Integration with charts, Form module, Theming, Touch Support and others. 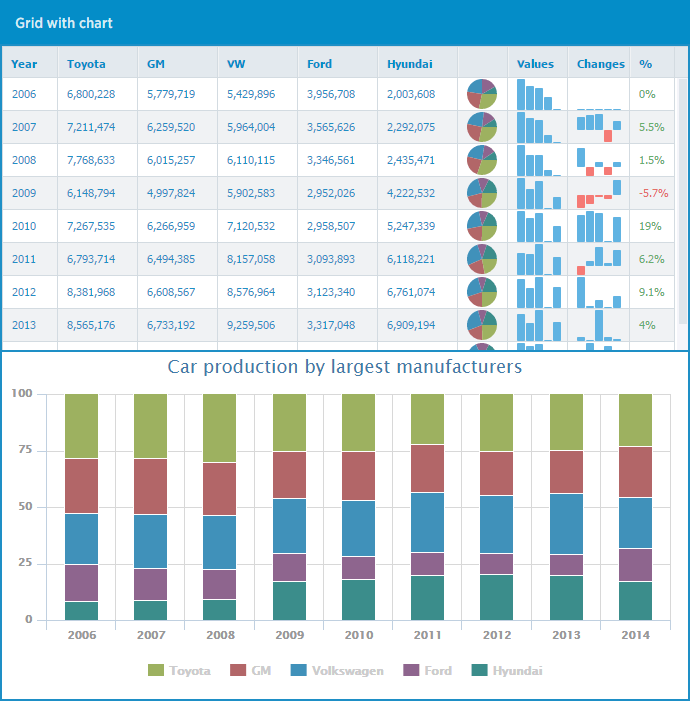 FancyGrid is integrated(data binding) with chart libraries: HighCharts and sparklines. Intelligent modules system auto detects and loads needed modules. Good Documentation, Elegant API, Number of Samples and Professional Support. 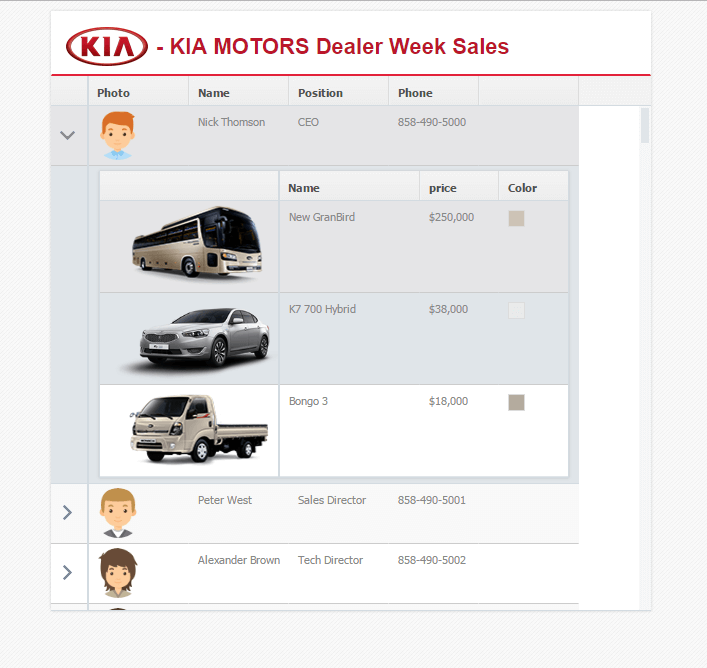 Suit well for all project types - both complex apps and simple site tables. Business Analytics with charts integration and interactivity of all your changes and actions.